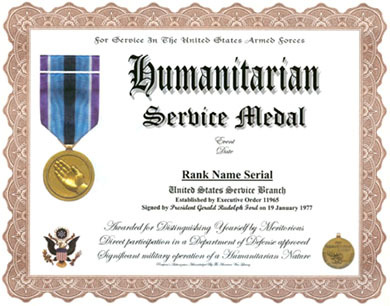 An unaltered photocopy of your DD-214, WD AGO, NAVPERS, NG or other military issued document clearly displaying your Active Duty service during Hurricane Andrew Relief. Andrew developed from a tropical wave over the central Atlantic on August 16. Initially, strong wind shear prevented much intensification. 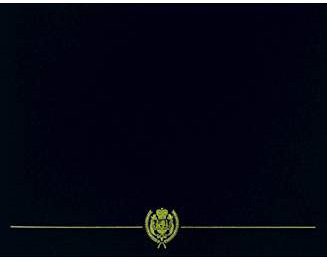 Andrew proved itself to be, at the time, the costliest hurricane in United States history. Overall, Andrew caused 65 fatalities and $26 billion in damage, and it is currently the third costliest hurricane in U.S. history, behind only Hurricane Katrina in 2005 and Hurricane Ike in 2008. 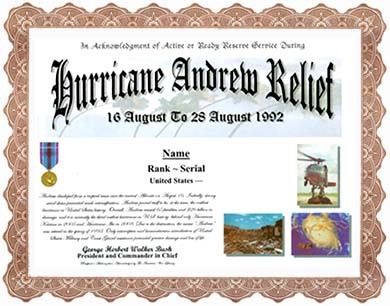 Due to the destruction, the name Andrew was retired in the spring of 1993. Only interceptive and humanitarian introduction of United States Military and Coast Guard assistance prevented greater damage and loss of life.